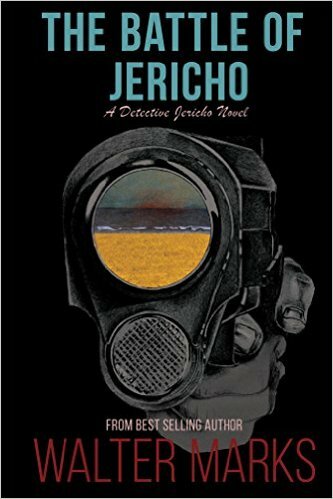 "The Battle of Jericho" is a startling view of the Hamptons: Human trafficking, racial conflict, Russian Mafia, murder. A daunting challenge for Detective Jericho. Publisher's weekly says: "Set on Long Island, Marks’s suspenseful second crime novel featuring Det. Sgt. Neil Jericho (after 2014’s Death Hampton) contains more than a few surprises. Jericho must tackle a truly odd case. A severed foot has washed ashore from Block Island Sound, with only a partial tattoo and an unusual nail polish on its toes as clues to its owner’s identity. After the papers report the gruesome find, 16-year- old Aaron Platt takes advantage of the revelation to send the police a taunting letter (“Something’s afoot. Foul play?”), further complicating the inquiry. Later, wealthy Sanford Richman reports his wife, Ann, missing, shortly before her severed foot turns up on another beach. An attractive junior officer, Maria Salazar, provides a welcome distraction. Readers should be prepared for a shocking ending."